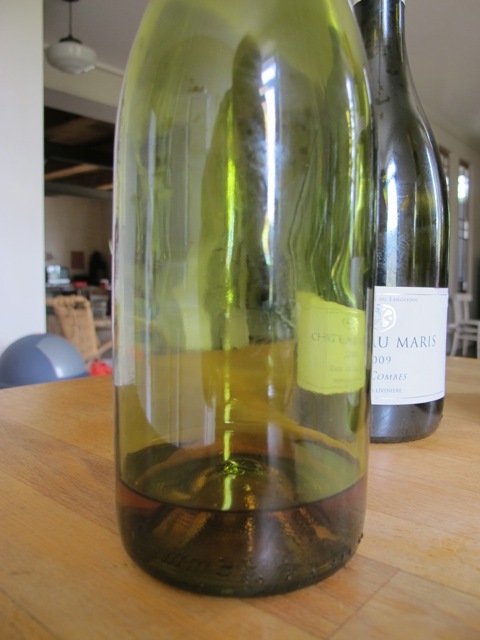 The left-overs of this delicious Chateau Maris Rose 2010, made from 100% Cinsault (a grape that grows very well in our region, the Langedoc Roussillon). 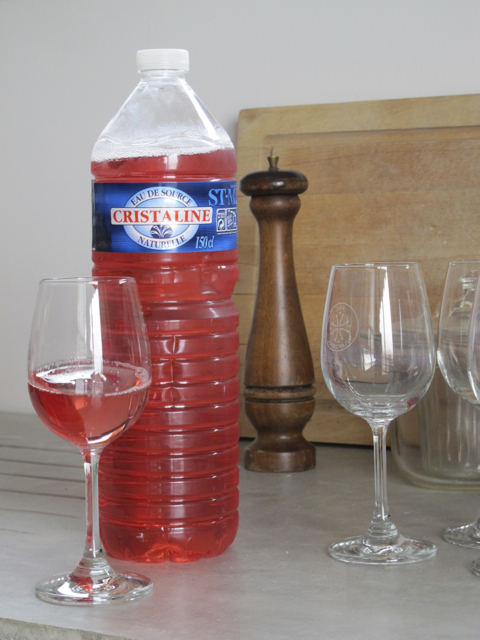 This grape variety is the fourth most planted in France! 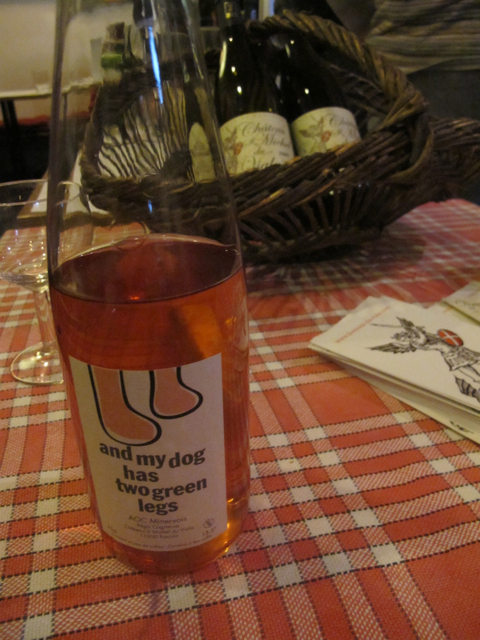 DOAMINE DU VIALA ROSE “AND MY DOG HAS TWO GREEN LEGS” 2010 – a lovely rose by our friends Regis and Thalia. It goes down too well in Summer. A drop of ‘wine out of the wall’!! One of the many perks of living around here is the access to delicious, cheap wines served from tap straight out of the wall of our cave co-ops – simply BYO your own bottle. 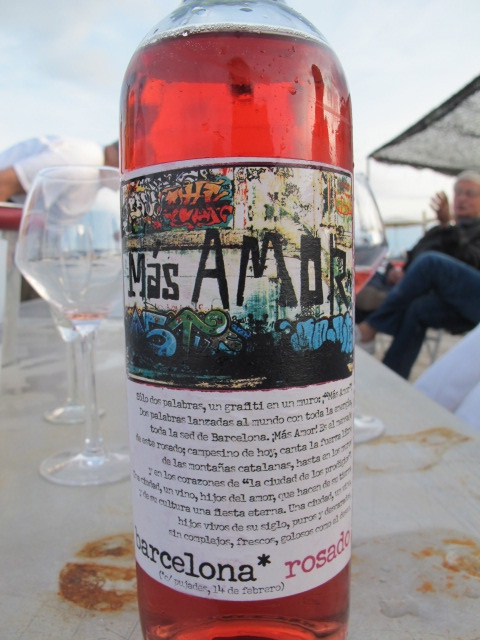 This Rose from 2012 Minervois was delicious.